So, I made several new majors for my game and thought that others might get some use out of one or two of them (my plan is to share the Agriculture one that was made for farming sims next...at some point). 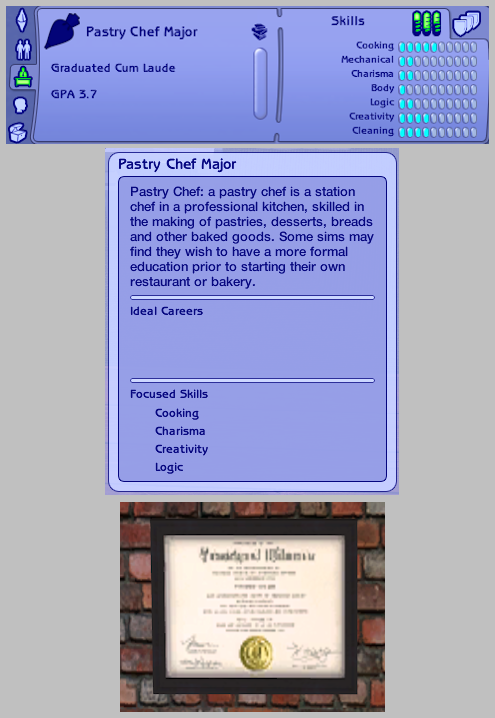 For a bit of added realism, this major was made for my sims that plan on opening up their own bakery or restaurant, but still wish to attend college first. It is also perfect for those who use Squinge's Mega College Pack, which allows young adults to attend university in the main neighborhood. If not for Squinge's mod, none of my sims would get to go to college. This major will NOT overwrite any of the Maxis majors. It was cloned from the Philosophy major, and has it's own unique GUID 0x008D7316. I have played through the entire uni cycle (a couple of times now) in a heavily modded game and did not encounter any issues. Freshman 1 - What is Dessert? All classes are only one-hour long - final exams are the usual amount of time...unless you have a mod that changes that. I use the One-Hour Exam mod by Nopke. Please note: I suggest using the Buyable Semester Tester (No Pop-Ups version) by Larky (post #88). I know a number of people use Frika's Majors Made Easier, but it appears to only work in the university neighborhoods and would serve no purpose if you use Squinge's Mega College Pack mod. If you would like to see an example of how to use the Larky's version of the Semester Tester, see my posting with images here. Hope you get some enjoyment out of using this major in your game. 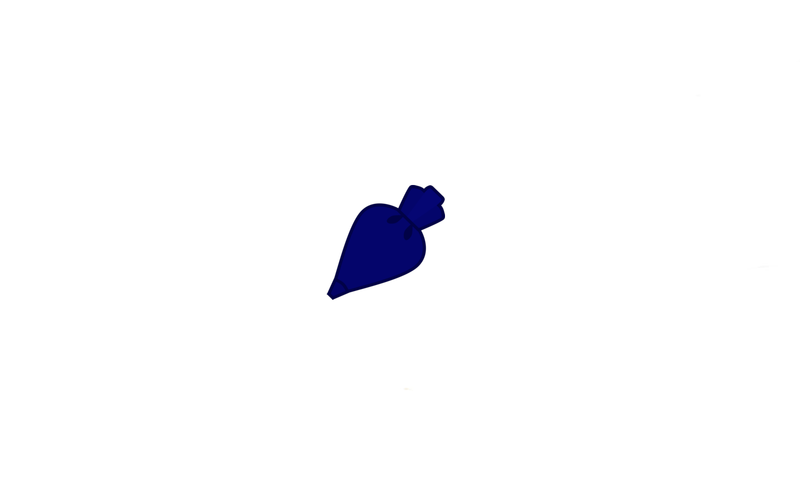 25 people have said thanks to PenelopeT for this download. This download is a custom major. This means that you will need the MajorsMadeEasier mod by FrikaC installed in order to use the download in your game.